Sunflower Children's Hospice is a non-profit organization that provides care and compassion for all children with life-threatening conditions. NOTE: Your browser does not support inline frames or is currently configured not to display inline frames. 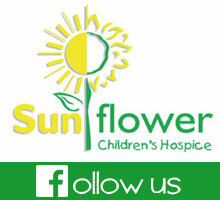 Sunflower Children’s Hospice is a founding member of the International Children’s Palliative Care Network (ICPCN); and the founder of the St Nicholas Bana Pele Network. The Hospice focuses on three different types of caring: Home Based Care, Sunflower House and Training of those providing care. The Home Based Care is based in Mangaung Bloemfontein, Botshabelo and Thaba Nchu and extends to over 350 children. Care within the home is provided by a professional nurse with a qualification in palliative nursing care. 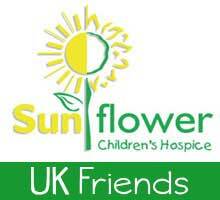 Sunflower House, which is our in-patient unit, has 14 beds for children who cannot be cared for at home. Children are admitted for pain and symptom management; respite care; initiation onto anti-retroviral therapy or TB treatment; cancer treatment and end-of-life care. Children who cannot be returned home for whatever reason may remain in Sunflower House for long periods of time until they can be placed in safe care within the community. The front of Sunflower House is a Wall of Remembrance painted with Sunflowers. Each child who dies has his or her name put into a sunflower and on the 6th of December each year, St Nicholas Day, a special remembrance service is held for the families, children and staff, to remember these children. 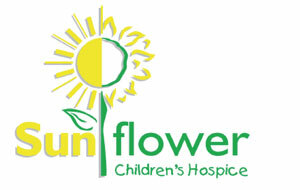 Should you wish to find out more about Sunflower Hospice, please do not hesitate to contact us.